Traditionally, cannabis has been produced on a small scale for purposes of flying under the radar of law enforcement. That means a lot of people have some knowledge of how to grow the plant. However, with a burgeoning legal market, people now (or will soon) have the option of choosing an array of products with specific chemical make-up and purpose – similar to what we would find in a grocery store produce aisle. And just like grocery stores, marijuana dispensaries are going to receive their supply cultivated from farmers who carefully produce the product and make it available for a reasonable price. Still, some might find decide that it makes better financial sense to grow it themselves. Leafly.com recently conducted a cost analysis of various marijuana strains and products. The analysts start out by noting that the luxury of being able to step into a store and choose from an array of flavor, potency, effect and smell should not be taken for granted. A lot of these products require a high skill level and expensive equipment to produce. On the flip side, these marijuana products come at a premium price because they are subject to strict regulations and high taxes. They are also expensive to purchase. $30-$70 for 1 gram of marijuana concentrates. $1.19 per gram of outdoor-grown cannabis. That might make it seem like a no-brainer. Obviously, you should grow your own – right? Not so fast. As our L.A. marijuana lawyers are well aware after many years representing the rights of clients in this industry, there are many more considerations to be made. For starters, that home-grown price-per-gram doesn’t include labor. $2.59 per gram for outdoor-grown marijuana. Most people spend at least an hour a day tending to their plants. 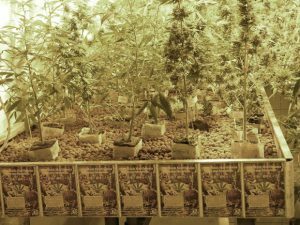 Depending on the plot size, prices could be as high as $9.60 per gram. One also has to consider whether their property is ideal for growing the plant. Unless you live on a large plot, you probably want to consider growing indoors for security purposes. It also doesn’t factor some of the upfront costs that are going to be assumed. The average cost for all this is going to be somewhere in the neighborhood of $2,385, but could get as high as $3,000. Meanwhile, the average start-up costs for an indoor cannabis grow operation are about $1,950. Of course, this equipment can be re-used, but it’s an upfront cost you’ll need to consider if you want to do it right. On top of that, you may need to invest in resources to educate yourself about how to avoid a bad crop with mistakes stemming from mold, pests and other common diseases. Ultimately, it comes down to how much time, money and knowledge you want to devote to growing a plant. If you have concerns about the legality of growing your own or buying or selling the drug, our marijuana attorneys can help offer guidance.